As this year draws to a close, we all need to be grateful that we are still alive and kickin' it. My 2015 had a lot of ups and downs, people came in and departed in my life, sometimes, without me even realizing it. There were regrets and hopes and dreams and wishes, that I continuously pray that everything will get well. A lot of realizations. A lot of stories to tell, books to be read, movies to be watched, advices to be shared and people to love! 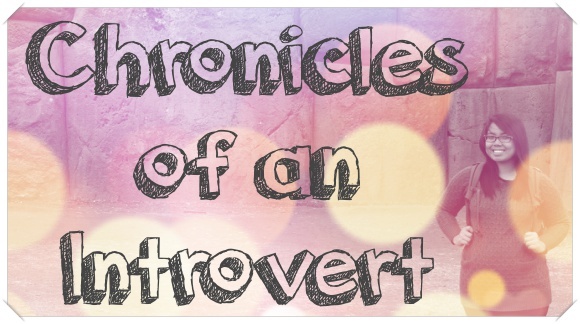 So are you ready for the 3rd Chronicle of an Introvert? If the answer is yes, then read on! Keep that smile on your face! :) Yes, that's right. Here’s a newly acquired book the week before - it’s called Live this book” by Tom Chatfield. 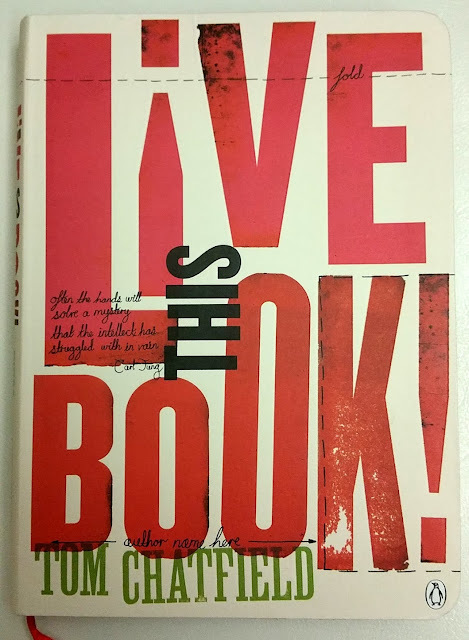 Last week, as I was browsing books in the bookstore, I have found this beautiful book. It has called my attention, firstly because it has a ribbon. 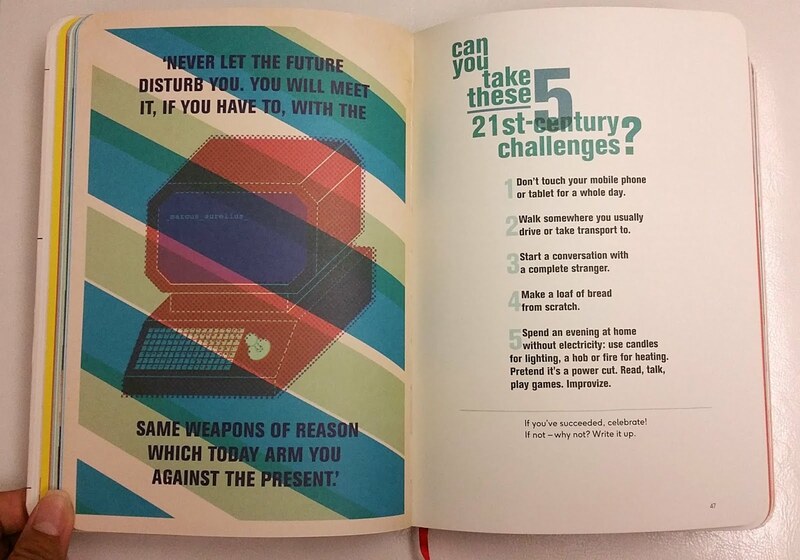 It is in the book section so it could not be a planner. I felt really stressed at that time, oh dear, I was a mess. And this book suddenly appeared - the exact feeling when you found a soulmate. I am online almost all the time in all different kinds of social media, I am the type of person that’s constantly connected all the time. You know what being online all the time does to a person - we became disconnected with the real world. 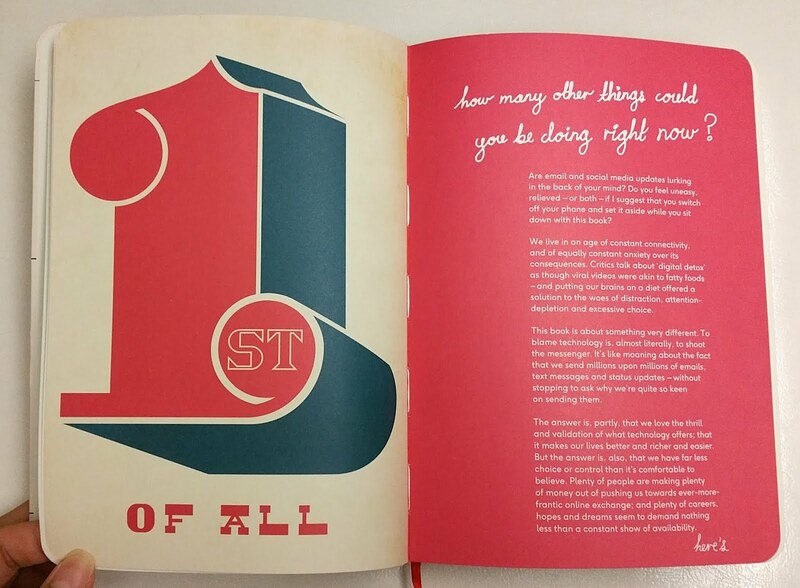 This book is intelligently and beautifully designed to remind the reader of the things that really matters in this world. 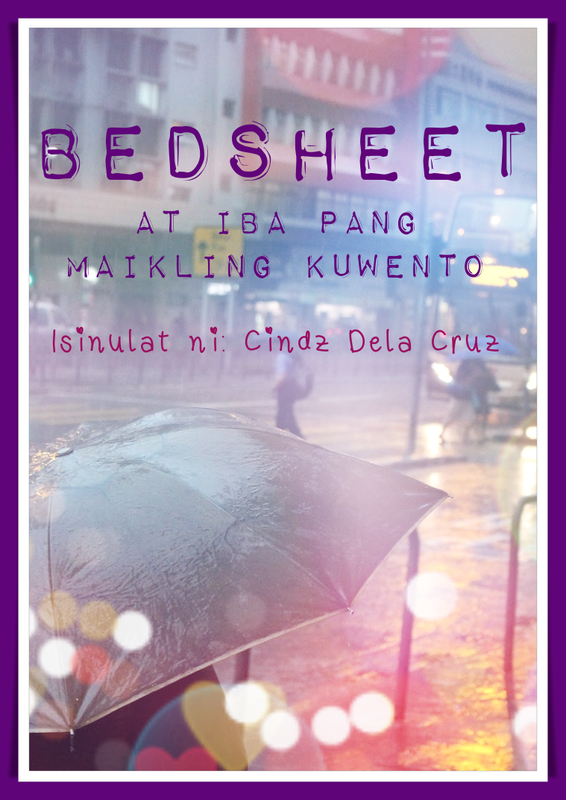 Printed copies of my book 31st is now available my dear bookworms! I managed to print it just this weekend, like an out of the blue realization, because why not? 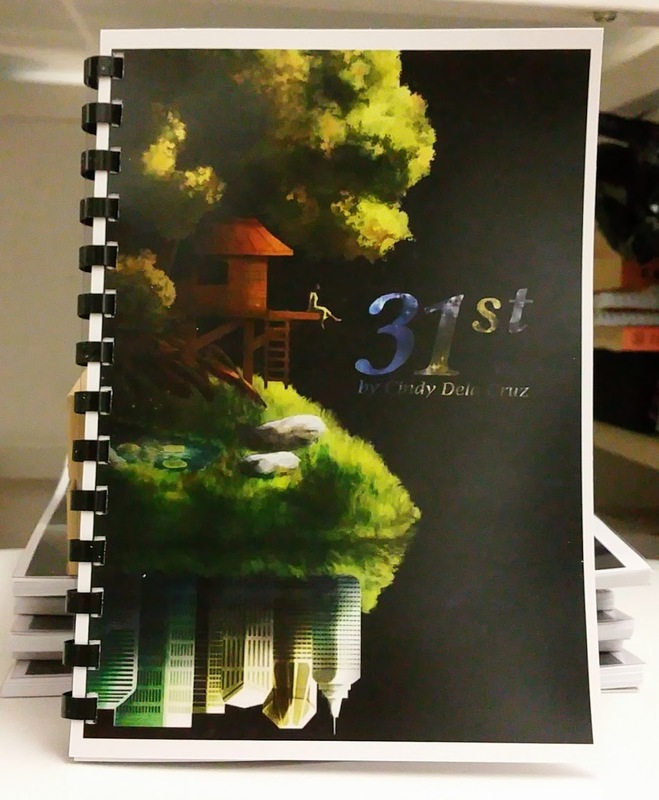 “31st” is my first ever English novella printed as a paperback. And you may read an excerpt of the story here: https://www.wattpad.com/story/51460545-31st This was a product of the #strangelit class organized by Ms. Mina. V. Eguerra (http://minavesguerra.com/), where I have been given the push I need to finish. It was truly a life changing experience as I get to meet new people, of course not face to face, but virtually. I didn’t manage to go to the launching because of so many things, nevertheless I still feel proud that I finished. 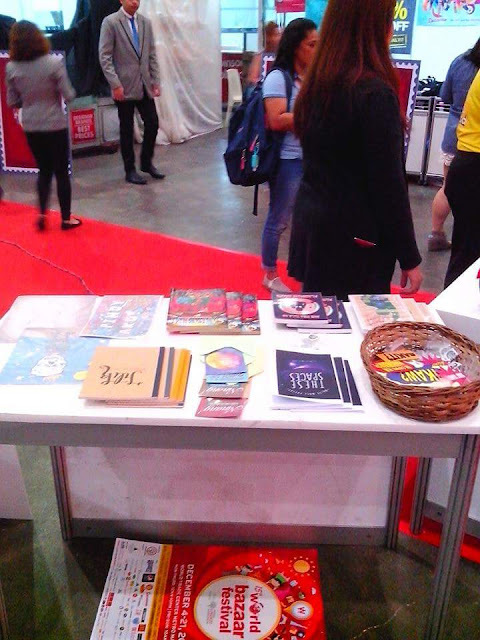 “Titser, May I Go Out” is available in the World Trade Bazaar Festival in World Trade Center Manila, visit booth C1-03 to purchase our book. We’re also selling funny Christmas cards! The bazaar will run until 21 Dec. 2015. I have overestimated my ability to climb a mountain, and have underestimated the giant mountain in front of me. Sure, I have hiked mountains before but ever since problems kicked in this year, I have took some time off, in fact, a long time off doing any exercises. It was a crazy idea, the weather was not good as it was drizzling and there would be a chance of slipping all the way down. I got half way and I gave up, even though my heart ached because this may be my only chance and I may regret that I have not reached the peak. I asked my colleague and the guide to go on and leave me, that I would try to catch up. At the said altitude, my heart felt like it was going to burst any moment, my hands were sweating and my legs hurt. So I sat down and started eating the apple I got from the buffet table that morning. Hikers passed by and we would smile at each other. Others would say “Come on, let’s go on." I suddenly felt the agonizing realization that I better give it my all. After finishing the apple, I stood up and started walking again, step by step, sometimes using my hands for support. 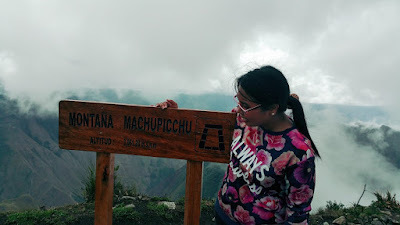 I crawled for the steepest part and when I finally got a minute to grasp my air, I would have the audacity to take pictures of the wonderful scenery I can see from above - the Machu Picchu ruins, mysterious as it ever be. Now, for a proper reward for oneself! 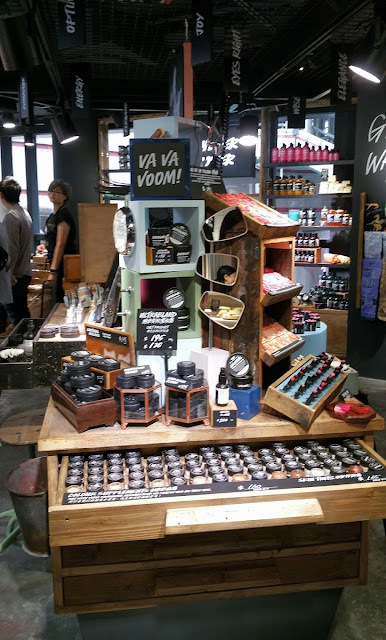 LUSH shop located in front of our office in Lyndhurst Terrace just opened up, so I did what every reasonable human being who’s obsess with beauty products do, I visited the place. Upon entering, I was delighted to see and smell the products they are selling. 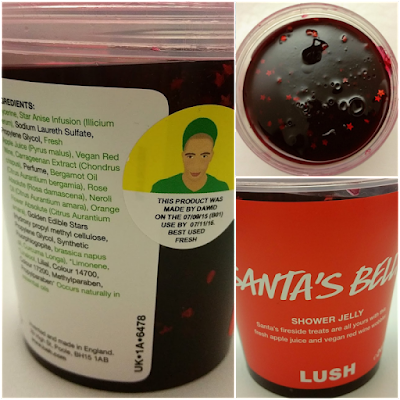 LUSH seemed to have a theme of mouthwatering dessert, that their products look like it’s something you can eat. They did have a lot of interesting (and expensive) products that I got tempted on. Here are the fresh looking face masks that are made of fruits, clays and essential oils, they container pots were soaked on ice. They are never short of staff who are always ready to help. The above make-up section is fabulous, different shades of eyeshadows shimmer that you wanted to buy them all. 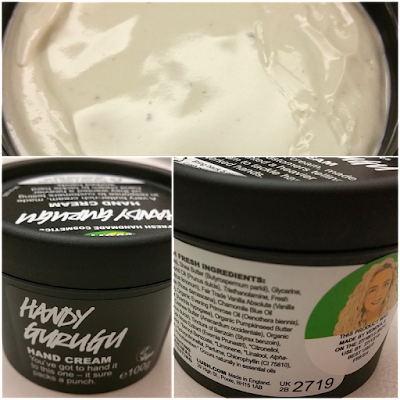 In the end, I brought a Santa’s Belly soap and a Handy Gurugu hand lotion - a lovely combination for a kikay like me. Notice the twinkling star in the jelly? It’s fun having an innovative soap in the shower. 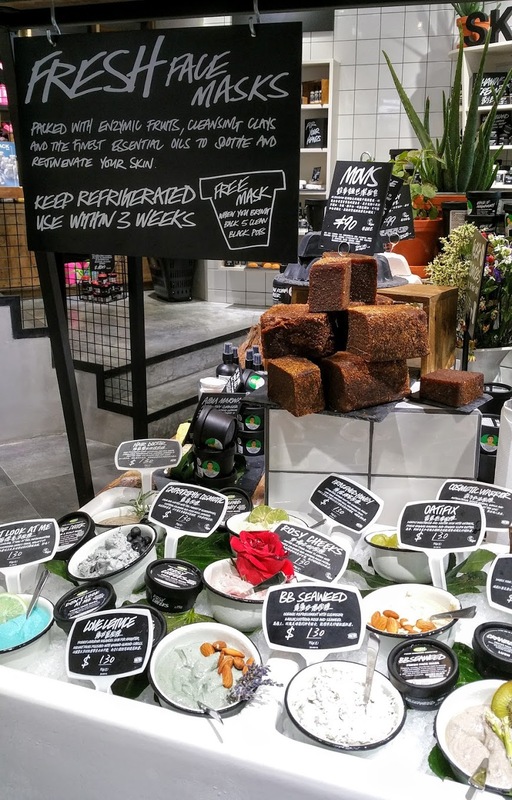 Its texture is soft and jelly like, definitely does not feel like your ordinary soap. I suffer from dry skin, and having a cold weather will make my hand drier than ever, that sometimes it hurts. We do a lot of things with our hands so pamper it by applying a generous amount. You’ll thank yourself later. That will be all from me today, I hope the collection above gives you the needed motivation and inspiration. Once again, thank you for subscribing and giving “Chronicles of an Introvert” your time. Until then! PS: If this is the first time you’re seeing this newsletter, feel free to subscribe at: http://tinyletter.com/cindycanwrite.